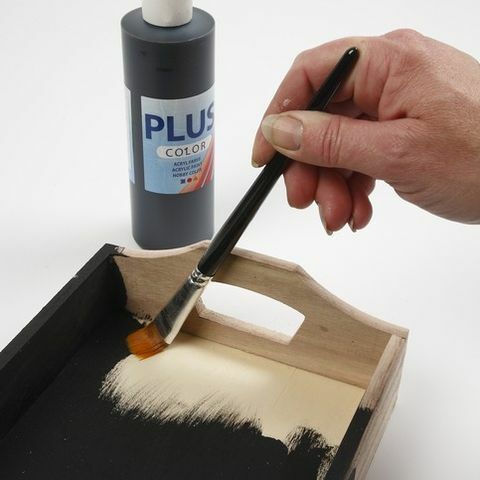 This wooden tray is painted with color craft paint. 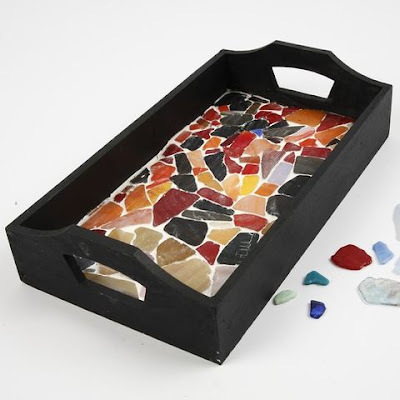 Mosaic fragments are attached onto the inside base of the tray using multi glue gel. 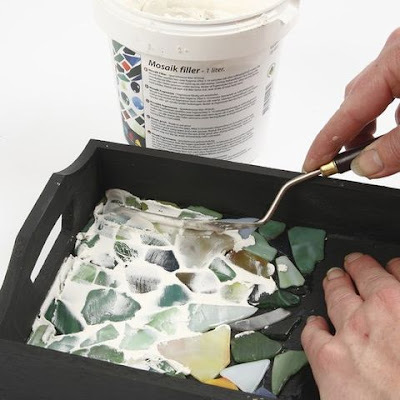 Mosaic tile grout is used to fill all cracks. 1. Paint the tray with color craft paint and let it dry. 2. Apply multi glue gel to small areas at the time (approx. 5 x 5cm). 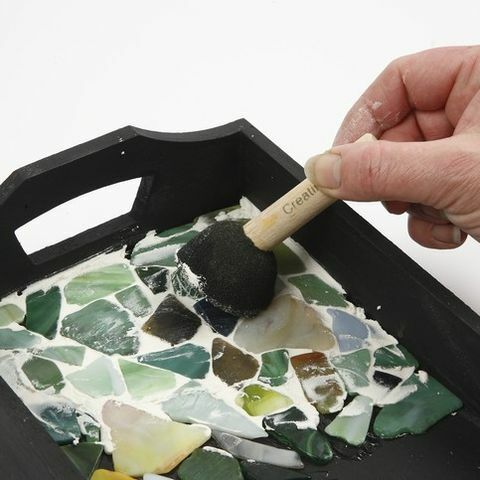 Place the mosaic fragments in the wet glue. Continue and leave to dry when the entire base of the tray has been decorated with the mosaic fragments. 3. Fill all the cracks with mosaic tile grout using a palette knife or your fingers. 4. 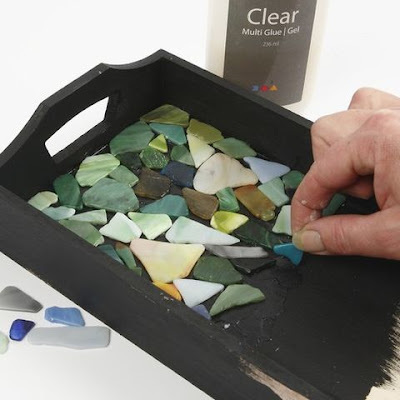 Remove excess tile grout using a damp cloth or a foam stencil brush and leave the tray to dry.